When purchasing a used vehicle, you will need to obtain certain documents from a seller. The documents that you need include a notarized vehicle title and a bill of sale. You will also need to obtain emission compliance and a vehicle inspection form. 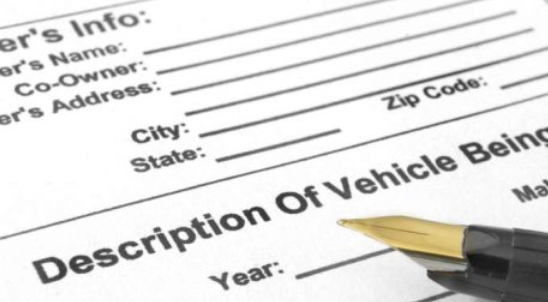 Once you have these paperwork, you can go ahead to register your vehicle at the Arizona Department of Transportation Motor Vehicle Division. The vehicle title, which includes the purchase price, filled transfer sections and notarized signatures from buyer and seller. If the seller does not have a title, you should not buy their car. You will advise them to apply for a replacement title before negotiating with them. So, it is not advisable to purchase a vehicle without a title. Even though the Arizona DMV does not require you to provide the bill of sale, this document is important as it contains both your signature and that of the seller. This ensures that there is no confusion with regard to the legitimacy of sale transaction. Form 96-0236 (Title and Registration Application Form). Lien release documents, if applicable. Payment for the fees and taxes ($4 title fee, $8 registration fee, $1.50 Air-quality research fee and Vehicle license tax). A level I inspection in the absence of vehicle registration. An emission compliance form (this form is needed if you are a resident of Tucson or Phoenix). An emission compliance form (this form is required if you are registering your car in Phoenix or Tucson). Odometer fraud. Some sellers normally tamper with odometer reading to convince a buyer that the car has fewer miles. Vehicles with unnoticeable problems such as flooding. Have a trusted mechanic inspect your car. Ensure that the seller’s name matches the name on the registration and title.